This week I got a chance to get out to photograph in Cambridge again. 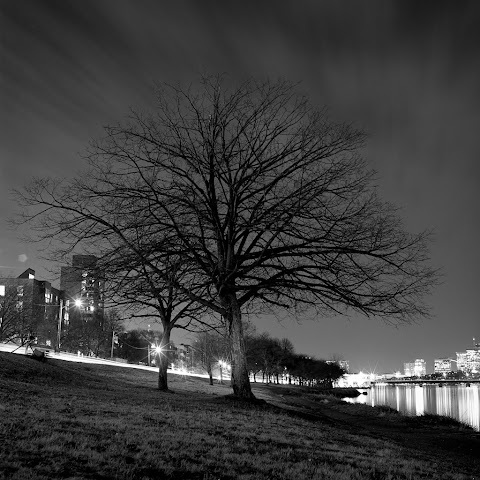 A nice warm evening out with friends and we found a few neat spots along the water on Memorial Drive, like this tree. It always amazes me that although it's pretty bright with all the streetlights, cars and the city in the background, some of the trees remain in dark, just randomly lit by the passing cars.